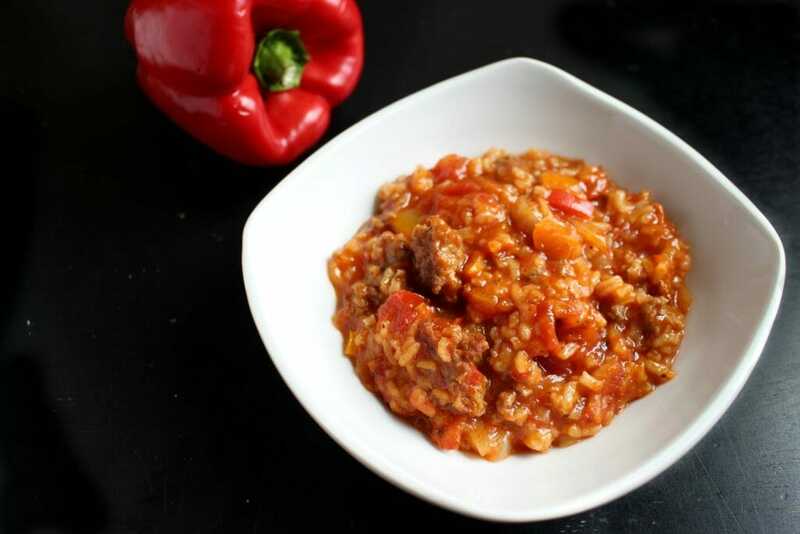 This soup is called Instant Pot Stuffed Bell Pepper Soup but to my kids it’s know as Sausage and Rice Soup. 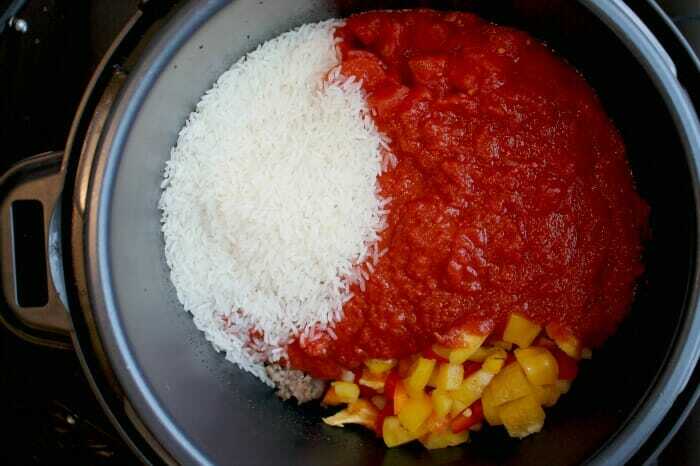 They hate stuffed bell peppers, but sausage and rice? YUM. I swear, my kids are smart, but they still haven’t caught on to this charade. I scrambled with “Oh, yeah. Sausage and Rice Soup,” and she totally bought it, you guys. 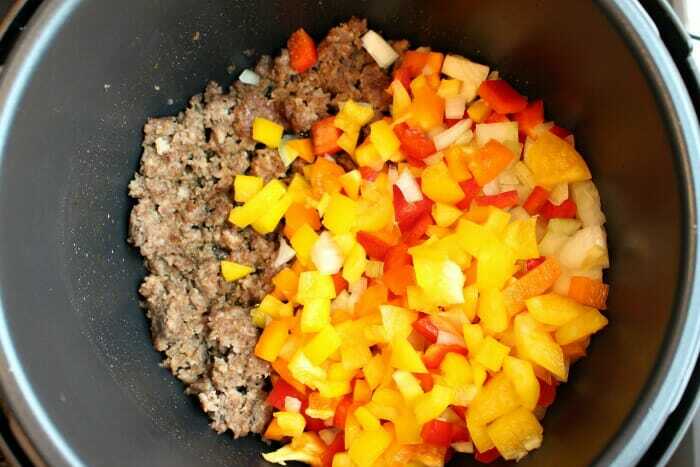 Now, I use sausage in my version of this soup, but any ground meat will work. 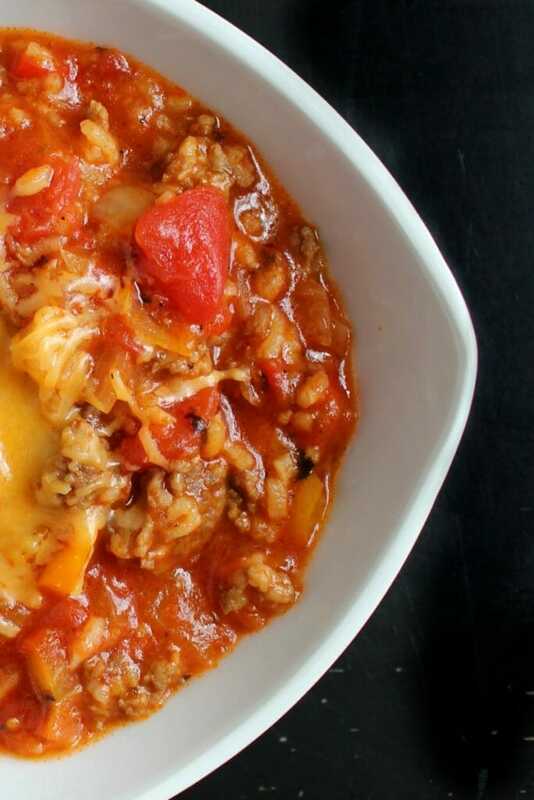 You can use beef, or slim it down with ground turkey or chicken. Any color of bell pepper is fine, too. 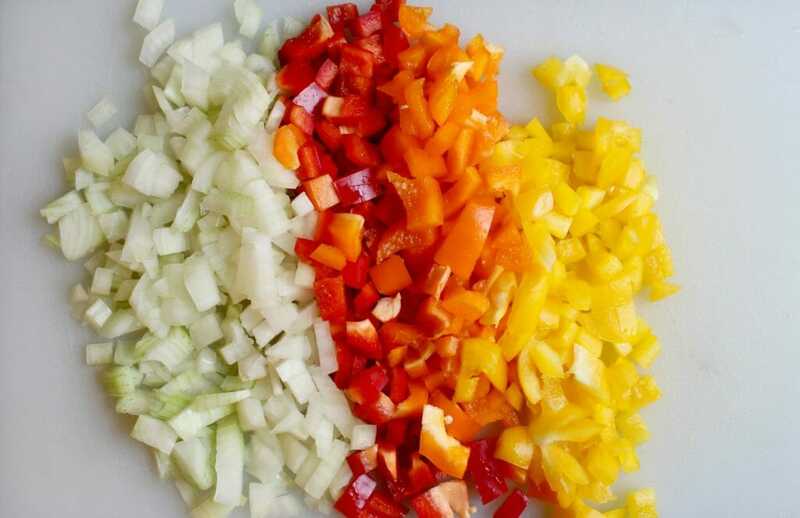 I usually use red, yellow, and orange, mostly because they blend in better and green peppers are more likely to be identified by my children. I used jasmine rice in this batch, because that’s what I had on hand, but any uncooked rice is fine, as long as it IS NOT instant rice. 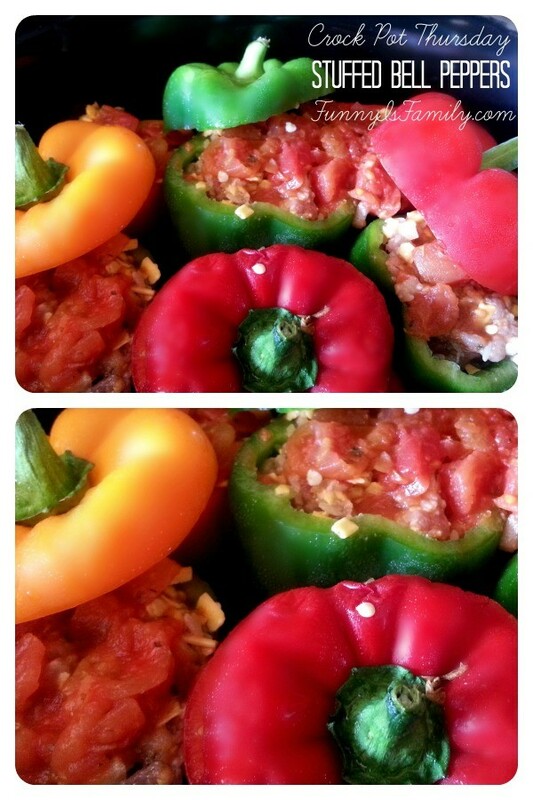 Stuffed bell peppers signal fall for me and remind me of my mom. 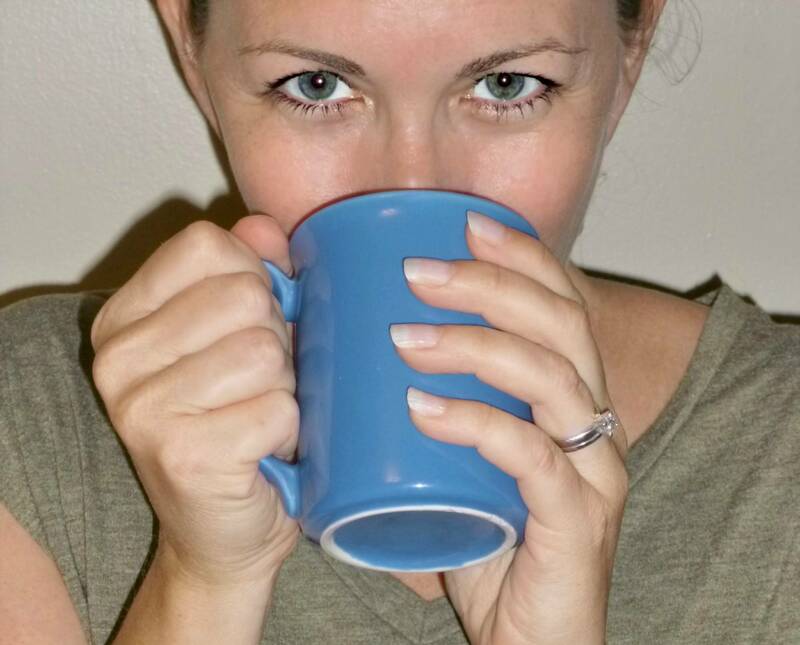 Do you have foods that you tie closely to a certain person? I could go on all day about how ham and beans make me think of my dad, or beef stew reminds me of one grandma and fried fish of my other grandma. Toasted cheese sandwiches belong to Papa and my love for my other grandpa was the only reason I dared try oysters on the half shell as a child. Banana cake reminds me of my brother’s wife, cucumbers with a sprinkle of salt are my father-in-law and sticky buns are my mother-in-law. My brother loves mayo so much he used to put it on his toast as a kid. He also uses a ridiculous amount of pepper on his sandwiches. Speaking of sandwiches, my husband puts oregano on his even though that’s gross, and I never eats ribs or salmon without comparing them to his delicious recipes. Food is love and comfort and memories. Someday my kids may have memories of my tricking them into eating this soup by changing the name, but for now I’ll keep up the scam and I’ll make sure I prepare it away from their prying eyes because they can never know how many peppers and onions are in this soup. 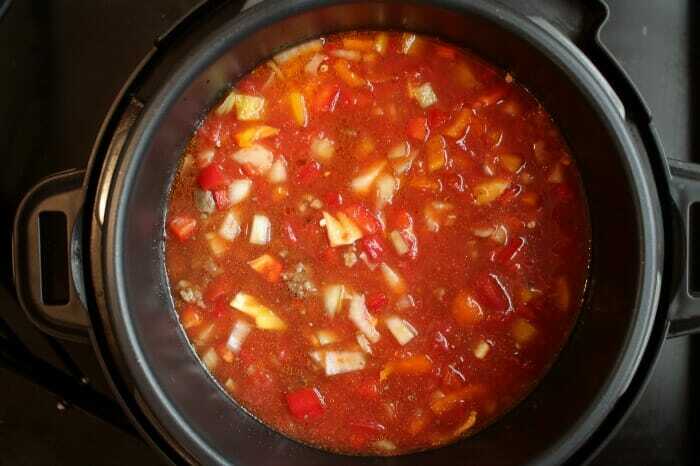 I used my Crock-Pot 6 Qt 8-in-1 Multi-Use Express Crock Programmable Slow Cooker to make this Instant Pot Stuffed Bell Pepper Soup. I love how it is a slow cooker and pressure cooker in one, and even has a saute/brown function. Using the brown/saute setting on pressure cooker, brown ground meat (or brown meat in pan on stove top and transfer to pressure cooker). 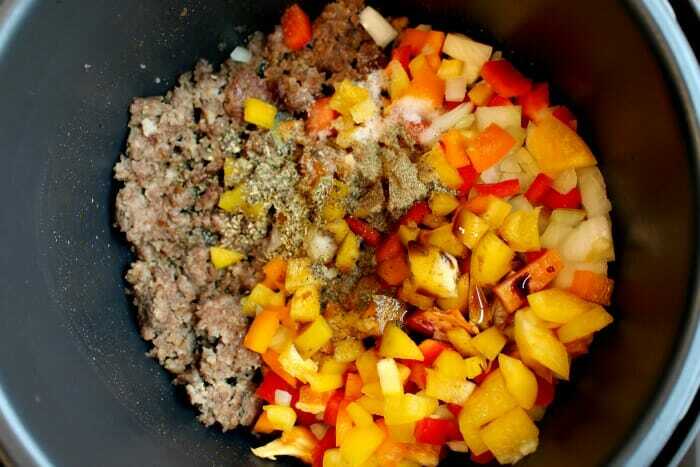 Add diced bell peppers, onion, salt, pepper, basil, oregano, rice, diced tomatoes, crushed tomatoes, Worcestershire sauce, beef broth, and water to the pot. Cover, make sure release valve is closed, and cook on HIGH for 15 minutes. Ladle into bowls and top with shredded cheddar cheese before serving. 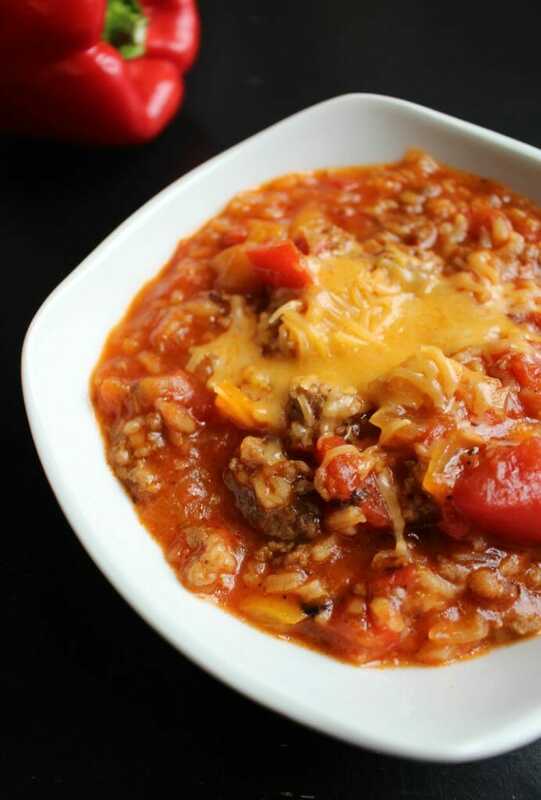 Hearty and delicious, this Instant Pot Stuffed Bell Pepper Soup is great for lunch or dinner! 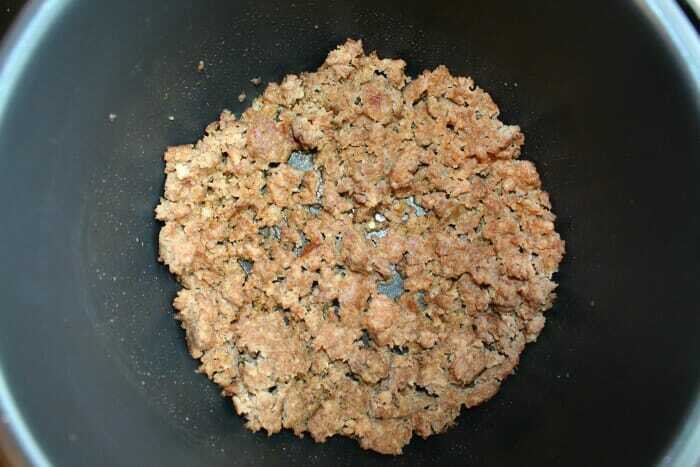 Using the brown/saute setting on pressure cooker, brown ground meat. 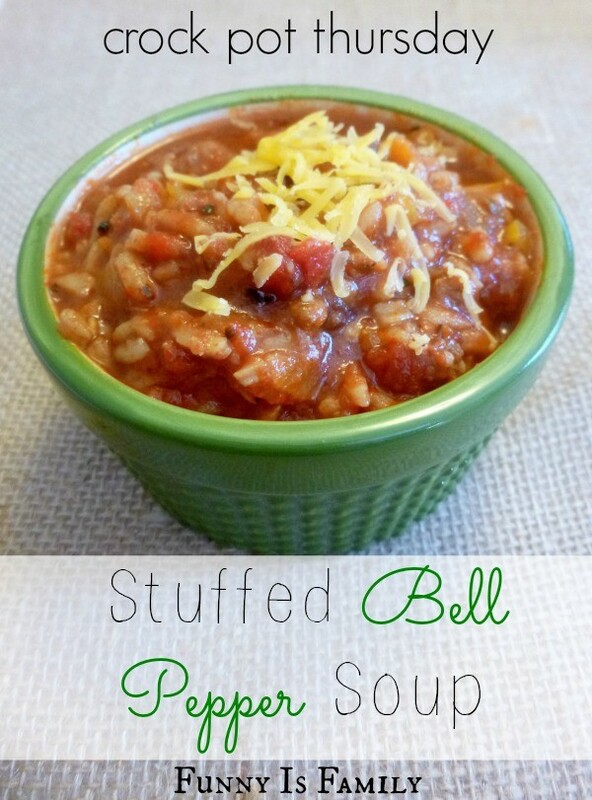 If you’d like to slow cook this soup, check out this Crock Pot Stuffed Bell Pepper Soup recipe! And if you like your stuffed bell peppers in pepper form instead of soup, this Crock Pot Stuffed Bell Peppers recipe is for you!